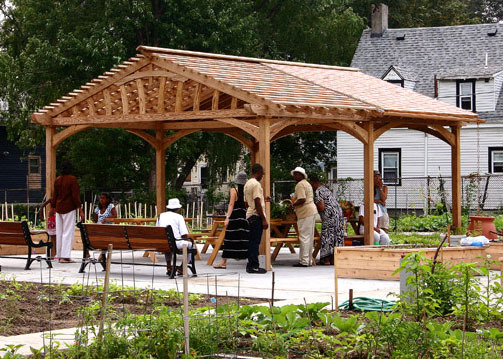 This pergola for a large community garden in Boston was designed as a central meeting and activity space. Half of the roof is shingled for total sun and rain protection. 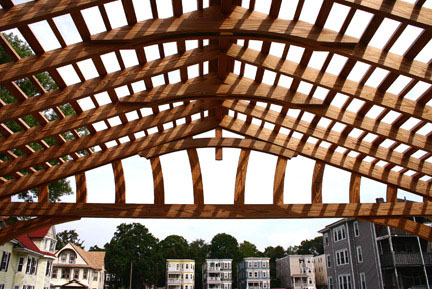 The other half is in a traditional pergola style using purlins to provide 50% to 70% shade. 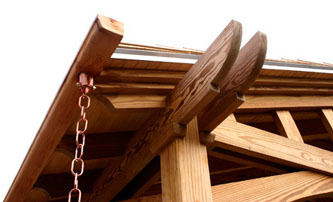 Gutters were used to channel rain water onto two rain chains and then into cisterns. 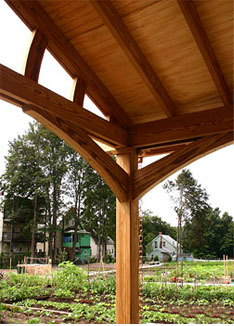 An Adirondack style was chosen for the structure and detailing was kept simple.